Amidst all the hustle and bustle of everyday life, Insignia on M feels like a place to call home. We’ve designed it to be a cozy refuge from the outside world. 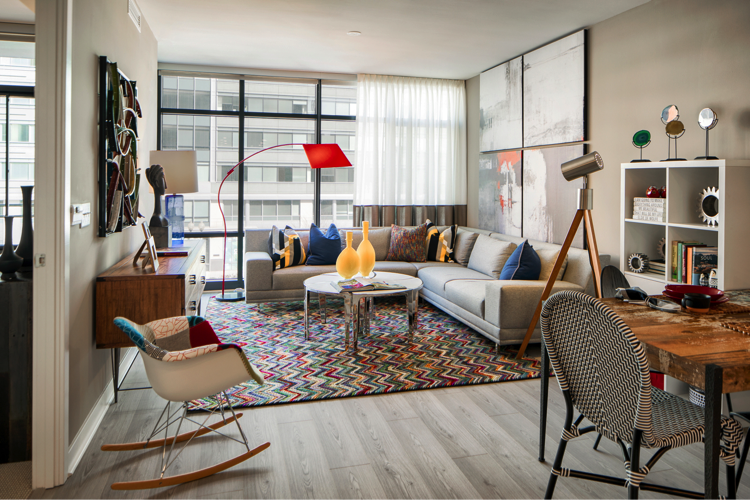 You’ll love coming home to these features at Insignia on M.
Spend evenings bringing out your inner artist, doodling or writing on the balcony while taking in the view of D.C. Floor-to-ceiling windows also give you a stunning view to admire each and every day. Cooking becomes fun with Stainless GE® ENERGY STAR® appliances. Use them to bake up yummy chocolate chip cookies or a pumpkin spice cake this fall. Hardwood-style flooring in the foyer, kitchen and living space create a sleek and homey environment to relax in. West End Collection 5-panel interior doors with designer lever handle hardware take aesthetic interior design to the next level. Relaxing baths with luxurious rectangular sink vanities. Take some time for yourself by taking a bath in the soaking tub which features Moen® 90 Degree fixtures and recessed LED lighting. 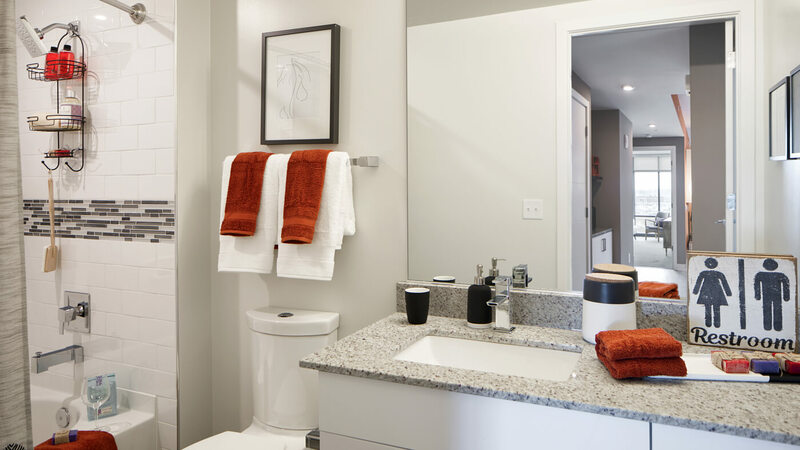 Brick-patterned flooring, rectangular sinks and storage drawers bring a modern, yet cozy feel to the bathroom. You’ll have plenty of space to get all dolled up each morning with a customizable walk-in closet. Convenience is key. Literally. Keyless entry makes entering your space even simpler. Make note of the USB charging stations in the kitchen and master bedroom so you can charge your devices from anywhere in your apartment. Which features are you most excited to use at Insignia on M? 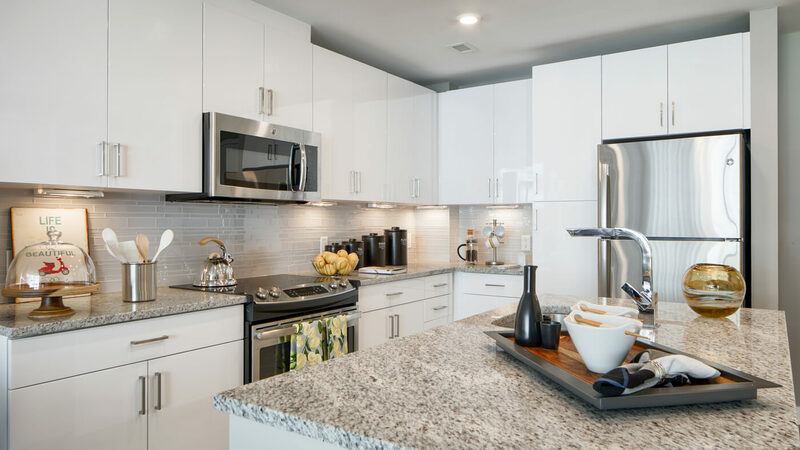 Contact us today for more information on life at Insignia on M or to schedule a tour.